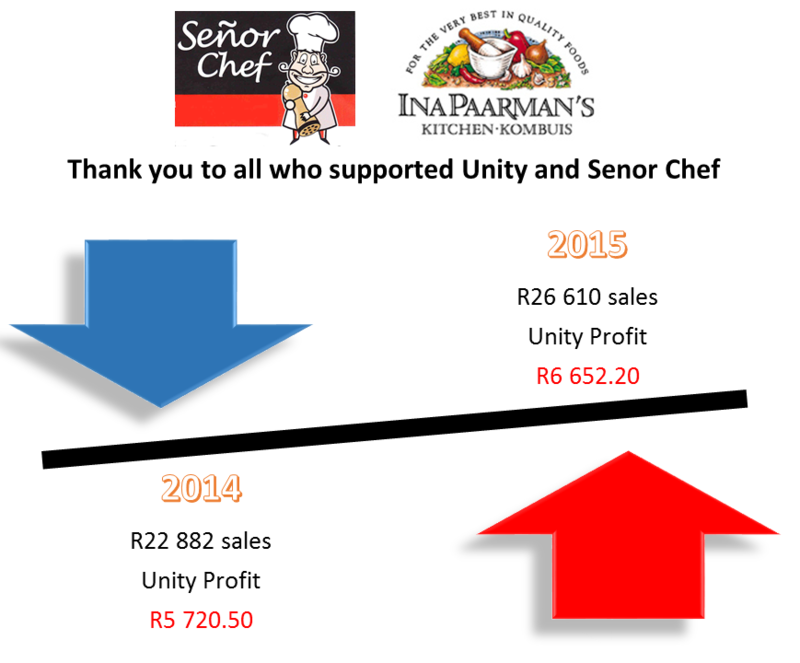 We have registered to participate in the Senor Chef and Ina Paarman fundraising project again this year. The project will run from now until the 11th of August 2015. Senor Chef products contain no MSG or colourants and are preservative free. 25% of the sales made by the learners will be given to Unity College.